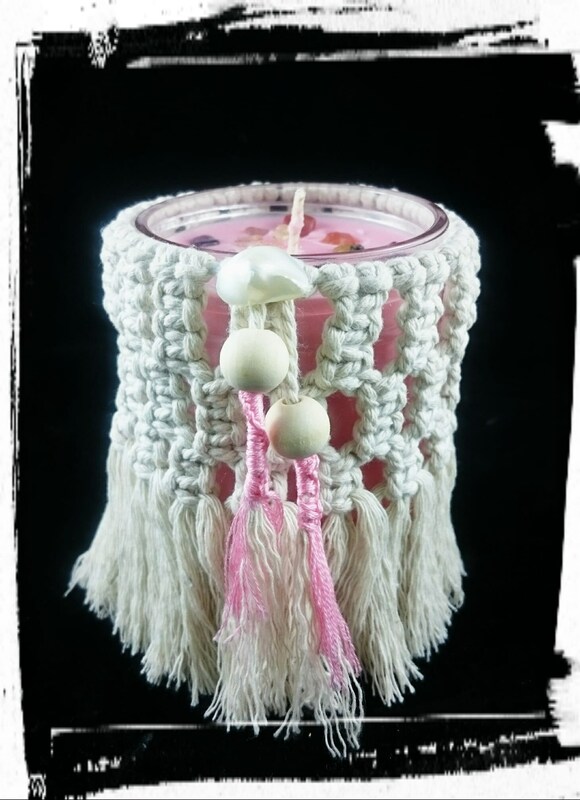 are either a gift to yourself, special friend, loved one or for that special occasion. 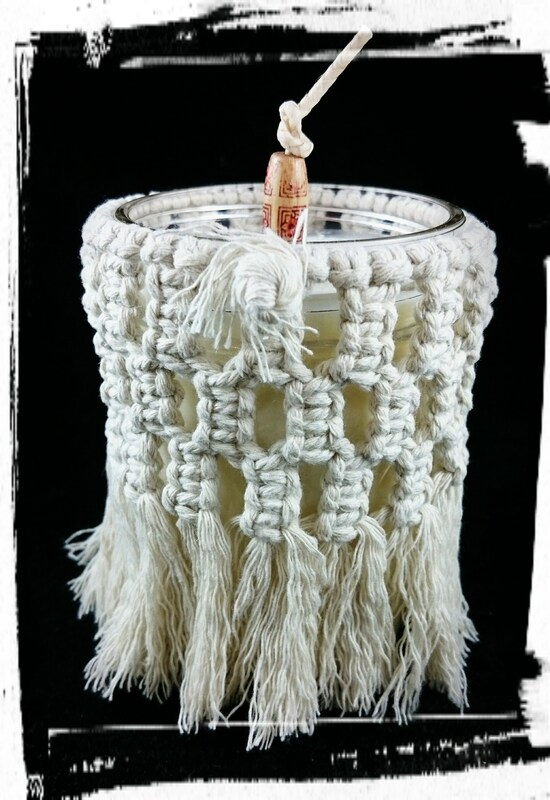 You will notice our Candle Wraps may be presented in a different way each is their own unique gift. If need for a wedding or an occasion they can be dressed identical if need be. 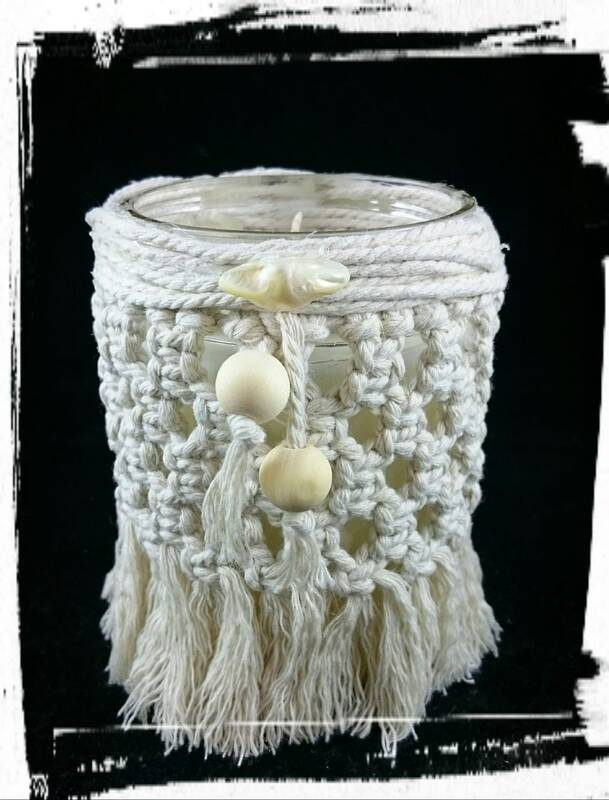 Our handmade Macrame candle wraps one of a kind gifts are made on a plain small mason jar, macrame (cotton cord natural), add some Sweet-D-Lites bling ( embellishment will vary, unless request is made an availability of the same embellishment).